2016/17 Ukrainian League. 21st round. March 12, 2017. Kharkiv. 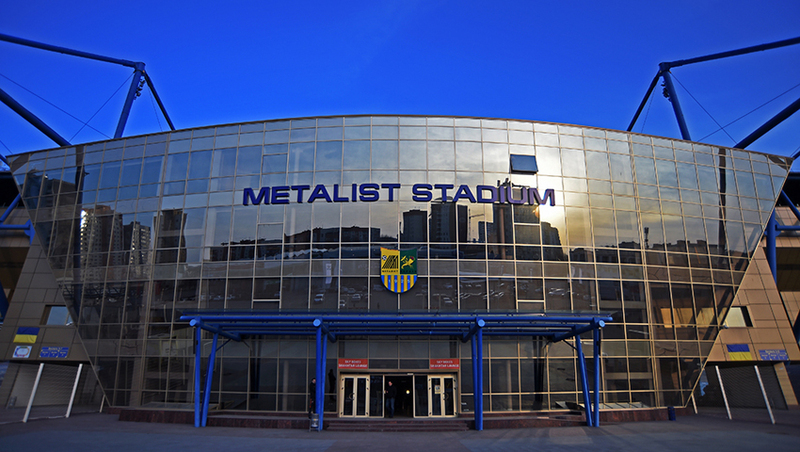 OSC Metalist. Attn: 8,209. 6oC. In the game against Zorya, Paulo Fonseca has fielded the same line-up that earlier claimed an away win against Lutsk-based Volyn (1-0). The match list includes Shakhtar top scorer Facundo Ferreyra, who missed the last round due to yellow cards. Early in the match, the ball virtually did not stay in the centre of the pitch. Both teams tried to respond with attacking to attacking, with the Pitmen still being more threatening in the final phase. 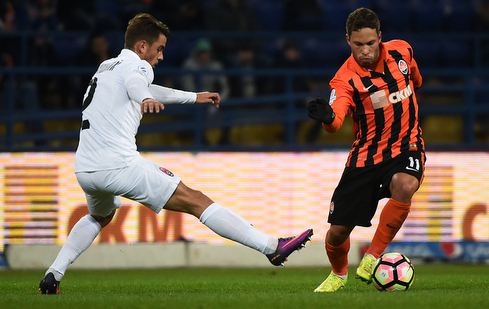 On 7 minutes, the Donetsk team succeeded in completing an immaculate one-touch move, with the Luhansk defenders preventing Gustavo Blanco Leschuk from getting on the end of Bernard’s promising pass. Over time, the Orange-and-Blacks fully moved the game to the opponents’ half of the pitch. The flanks were active, with Ismaily and Darijo Srna operating dangerously: their crosses were particularly threatening. Taison delivered an excellent long-range shot, but Zorya keeper showed great reflexes, gripping the ball from the second attempt. And yet the players of Shakhtar embodied their advantage into a goal. On 26 minutes, Marlos beat his opponent on the right wing and sent a high ball towards the goal line, with Gustavo Blanco Leschuk distracting two defenders at once, and the oncoming Bernard heading the ball into the upper corner. The goal calmed down the game to an extent, but didn’t generally change its pattern. The Pitmen carried out positional attacks, with the opposing defence making no blunders though. Towards the end of the half, Zorya made a successful counterattack: Opansenko threatened the goal of Andriy Pyatov from a tight angleonly to see the ball go wide. After the break, the pace got higher. On 49 minutes, Ismaily fired a spectacular volley from outside the box, with Oleksiy Shevchenko hardly taking the threat away. The Orange-and-Blacks continued to make the situation near Zorya goal more threatening, with Taison creating the following scoring opportunity. The Brazilian completed his solo run with a long shot, with the crossbar coming to the rescue of Luhansk side. Gustavo Blanco Leschuk beautifully finished off the shot, but the referee ruled him offside. Shortly afterwards, the score got even: Ihor Kharatin reacted to the corner kick and scored a goal. On 71 minutes, Paulo Fonseca made the first substitution, fielding Maksym Malyshev instead of Viktor Kovalenko. A little later, Facundo Ferreyra and Alan Patrick appeared, taking the positions of Gustavo Blanco Leschuk and Bernard respectively. The closing ten minutes of the meeting saw continuous attacks by the Donetsk side. Stepanenko produced a dangerous long-ranger, also a good chance for Alan Patrick was created by Marlos, with Zorya goalkeeper being successful on both occasions. 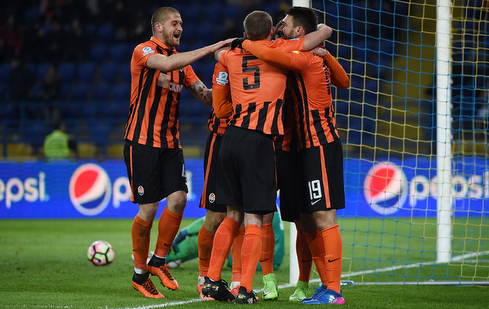 Shakhtar’s pressure brought fruit on 88 minutes. Darijo Srna delivered a corner kick, with Maksym Malyshev delivering a great aerial performance. The final whistle registered the Pitmen’s tenth consecutive win this Premier League season. This success allowed the Donetsk team to break away from the second spot by 16 points. Shakhtar will play their next game in Kharkiv on March 17. In the final match of the first part of the league season, the Orange-and-Blacks will take on Olimpik Donetsk at OSC Metalist. The meeting starts at 19:00.